Everyone is familiar with the expression ‘The five-level belongs to the opponents’ the BOLS bridge tip of Ed Manfield (frequently wrongly attributed). Can anyone come up with something similar for the six-level? 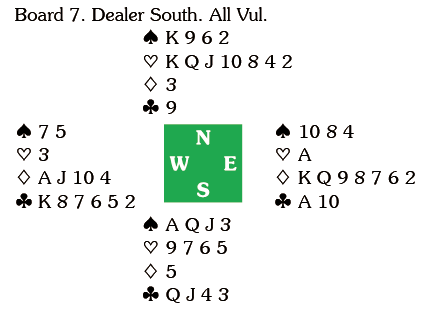 When South led the 6 declarer could establish dummy’s clubs and get rid of two spades, +1540. The phantom delivered 14 IMPs. 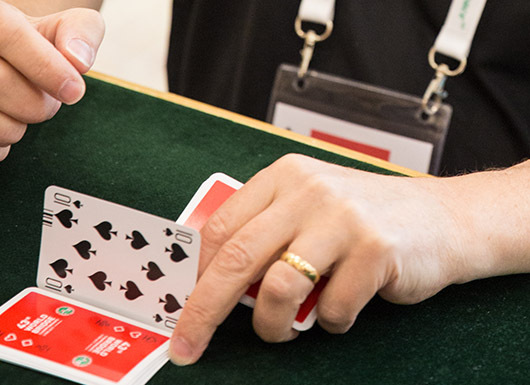 In the Rosenblum 6 doubled was played four times – everyone recording +1540. It happened only once in the Women and Seniors. 6 undoubled was reached several times – and always made. Should the advice be ‘always save at the six-level’.